Dozens of Cuyahoga County voters were left confused after they tried to cast their ballots at the Board of Elections and not in their assigned precincts. Voters were turned away and given a print out from board staff members on where their precincts were located. But disgruntled voters like Augustus Johnson told News 5 more detailed instructions should have been posted on the Cuyahoga County Board of Elections website. "It wasn't on their website. The Board of Elections website didn't say that on the day of the election you're not able to vote down here, you have to vote at your precinct." Voters were allowed to vote at the board location at East 30th and Euclid Avenue during early voting no matter where their home precinct was located, but not on election day. "It is unfair, they should have given us more specific information about how we can come and vote," said Johnson. "Last election I came here on election day, and they allowed me to come and vote. This time they've completely turned it around." Black on Black Crime Inc. President Al Porter told News 5 he was on the scene at the board of elections and counted 103 voters who were turned away in less than three hours on election day. Porter agreed the board of elections could have had more specific instructions on its website. "It wasn't on their website," said Porter. "The board of elections website didn't say that on the day of the election you're not able to vote down here, you have to vote at your precinct." 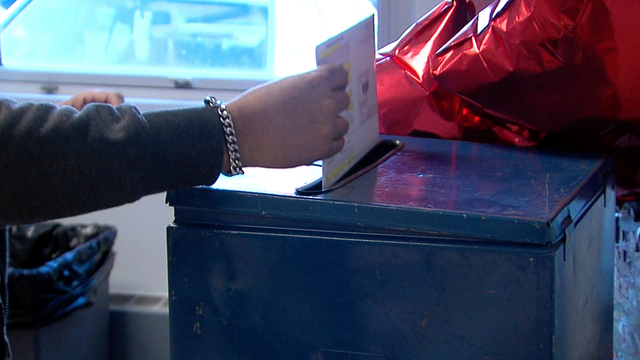 News 5 took this issue to Cuyahoga County Board of Elections Director Pat McDonald, and he admitted more could have been done on the website to help cut the voter confusion. "I think this was a good lesson learned for us," said McDonald. "I will make sure that we put something up on our website that clearly identifies the locations where people can vote through early voting as well as election day." McDonald added voters can search for their precinct on the board website.